Michael “Mike” Allen Christian, 64, of Mayetta, passed away Sunday, Jan. 14, 2018, at his home with family by his side. He was born March 11, 1953 in Holton, KS the son of William C. and Betty J. (Nott) Christian. Mike attended Bancroft Schools. He graduated from Wetmore High School in 1970 and played on one of the winningest Wetmore basketball teams. 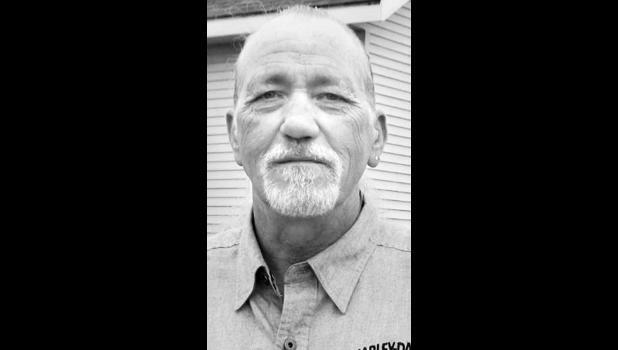 Mike had lived in the Holton community since 1984. In 2017, Mike moved in with his brother, Willie, at Mayetta. He was a tire builder at Goodyear Tire Company for 37 years, retiring in 2008. He was a member of Harley Davidson Owners Group-H.O.G, United Steel Workers Local #307, and he was also a member of the Texas Longhorn Breeders Assoc. of America (TLBAA). He married Lucinda “Cindy” Bain in 1976. They later divorced. Mike was preceded in death by his parents, grandparents and a nephew, Dusty Christian. Survivors include a son, Travis M. Christian (Torri) of Holton; a sister, Connie Becker (Dennis) of Hot Springs, Ark. ; two brothers, Steve Christian (Ginger) of Topeka and William “Willie” Christian of Mayetta; and numerous nieces and nephews. Celebration of life services will be held from 1 p.m. to 3 p.m. Saturday, March 10 at Mercer Funeral Home in Holton.